Ok. So how do I talk to guys about skin care products? 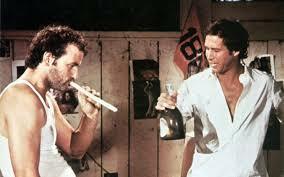 I believe you do it through a means which all men can relate to…..yes, Caddyshack. Note the image above. You know the scene. A young Bill Murray and Chevy Chase sharing some quality time in Carl Spackler’s humble abode. Ty Webb stopping by for a little “hospitality” while he plays through at Bushwood Country Club. Of course Bill and Chevy are much older now. We’re all getting older. When it comes to aging we have some choices. One option is letting time and nature run its course. I call it the Bill Murray option. I know this seems unfair. I love Bill Murray too, and I respect that he hasn’t gone the Kenny Rogers route on us. That being said, it’s also fair to say the years haven’t been particularly kind to Bill. Option #2 is spend lots of money and get-work-done. 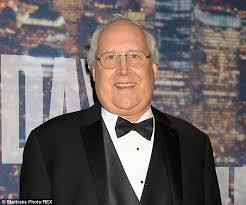 I call this the Chevy Chase option. Ok. Unlike Bill, Chevy is wrinkle-free. Unfortunately, Chevy can’t move his face! Is that the look of fear? Happiness? Confusion? I don’t know. It’s the only look plastic surgery leaves you with. These two images are my last two staff photos from work. They were taken one year apart. Now I started noticing my personal aging process in my mid to late 30s. 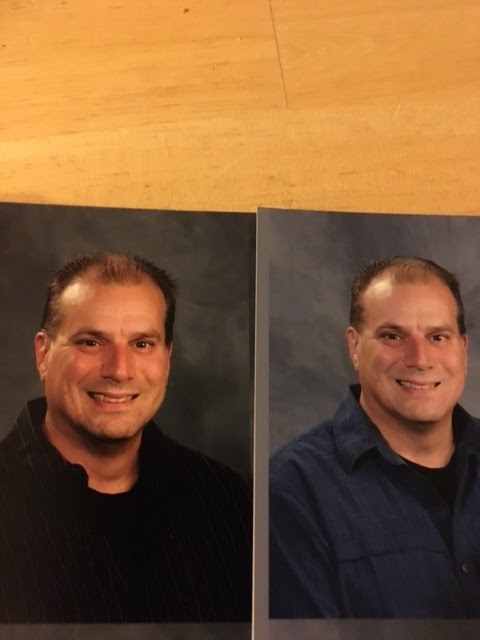 I could look at one photo, then another taken a year or so later, and it really wasn’t very difficult to figure out which one was older than the other. Yet here, I can’t tell one trace of noticeable aging from these two photos. In truth, I actually think my skin looks a bit better in the photo on the right. That’s the more recent photo. So what’s changed? Is it “good clean living?” Not really. I mean sure, I haven’t drank in a few years, I don’t use drugs, and I’ve been blessed with pretty good genes. Yet I’m notoriously sleep-deprived, my diet and exercise are poor, I smoke too many cigars, and I have a stressful job. So no, I don’t think I can attribute it to the easy life. It’s Nerium’s Night Cream. For the past year I’ve been putting it on every night before I go to bed. It literally takes less time than brushing your teeth (and I brush my teeth way too fast). I splash some water on my face, hit four pumps from the bottle, rub it on my face, and done. That’s it. 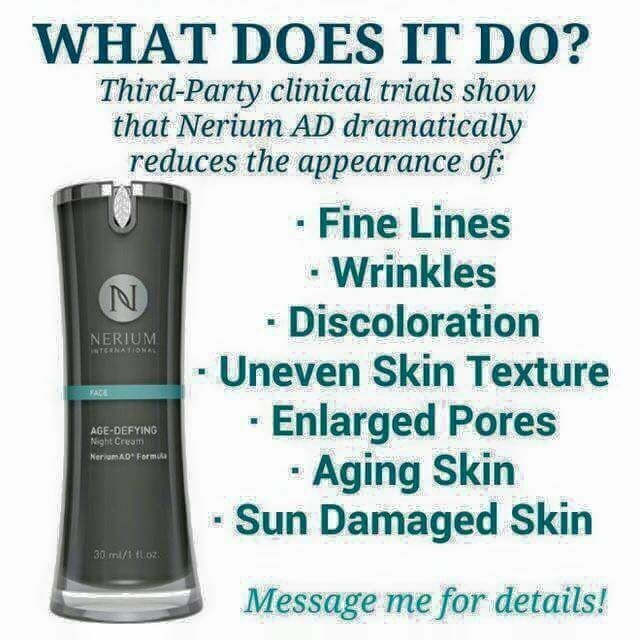 Look, I can’t sit here while typing and promise you this (and other Nerium products) will absolutely without a shadow of a doubt work for you. What I can tell you with absolute certainty is my facial appearance hasn’t aged one damn bit since I started using this product. Not an opinion. A fact. And for that matter, I don’t plan on looking one damn bit older a year from now either.